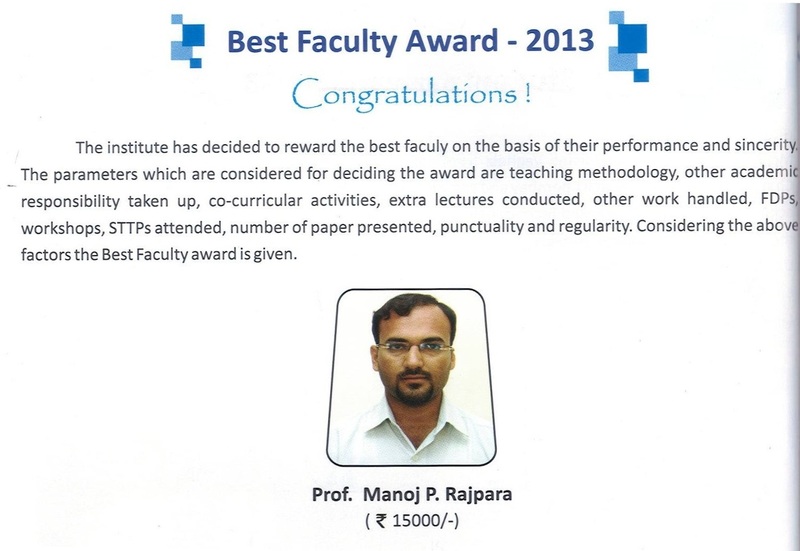 The institute every year rewards the best faculty on the basis of their performance and sincerity. The parameters which are considered for deciding award are teaching methodology, other academic responsibility taken up, co-curricular activities, extra lecture conducted, other work handled, FDPs, Workshop, STTPs attended or organized, number of paper presented, punctuality and regularity. 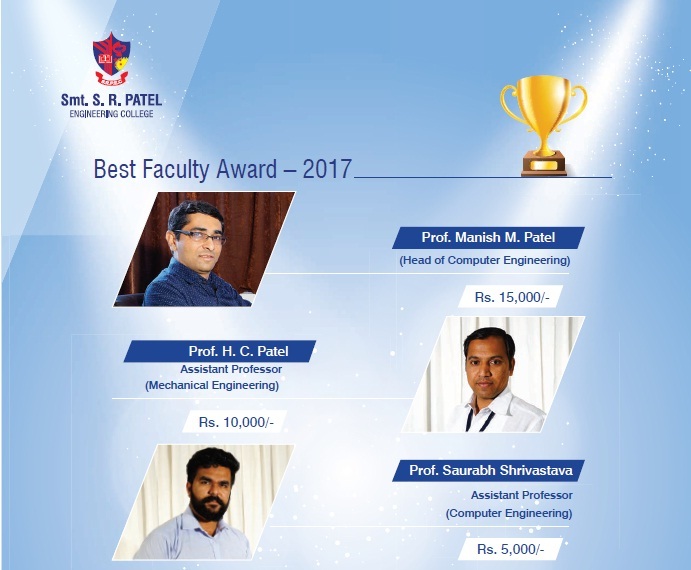 Considering the above factors the Best Faculty award is given.